SIDNEY — The Sidney Masonic Temple Association will host a community blood drive on Saturday, Feb. 16, from 9 a.m. to noon, at 303 East Poplar St., Sidney. The blood drive comes during the heart of winter and continues the theme of Ohio’s first Blood Donor Awareness Month. 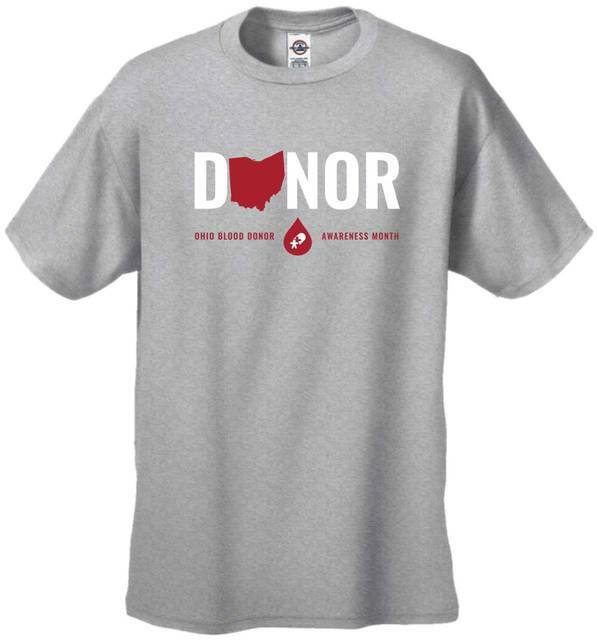 Everyone who registers to donate will receive the commemorative “Ohio Blood Donor Awareness Month” t-shirt. Schedule an appointment online, at www.DonorTime.com, or call 1-800-388-GIVE. CBC is expanding the opportunity to donate platelets and plasma at select community blood drives. Platelets are the cells that control bleeding, while plasma is the fluid that maintains blood pressure. Both are vital for the treatment of cancer, trauma, organ transplant, and burn patients. New platelet donors are in high demand, especially those with blood types A, AB, or B positive. Find out more at www.GivingBlood.org or talk to an apheresis specialist at 937-461-3220.
https://www.sidneydailynews.com/wp-content/uploads/sites/47/2019/02/web1_donortee.jpgCBC Ohio Blood Donor Awareness Month t-shirt.